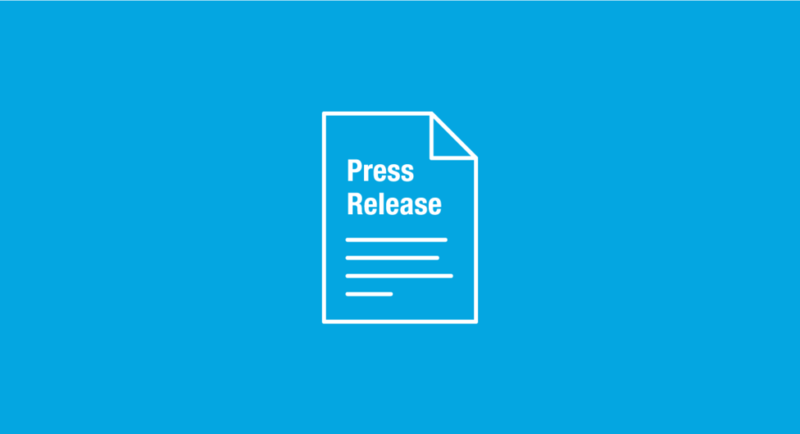 Amidst the deeply polarized presidential race and congressional politics, something remarkable happened this month – an unprecedented coalition of key industry, labor, and environmental interests came together to urge Congressional action in support of an essential energy production and carbon reduction strategy – carbon capture, utilization, and storage (CCUS). Never before has this constellation of players—ranging from the nation’s largest coal, oil, and ethanol companies, key industrial labor unions, and prominent national environmental organizations—converged around national legislation that promises significant contributions to both domestic energy security and reductions in carbon emissions. 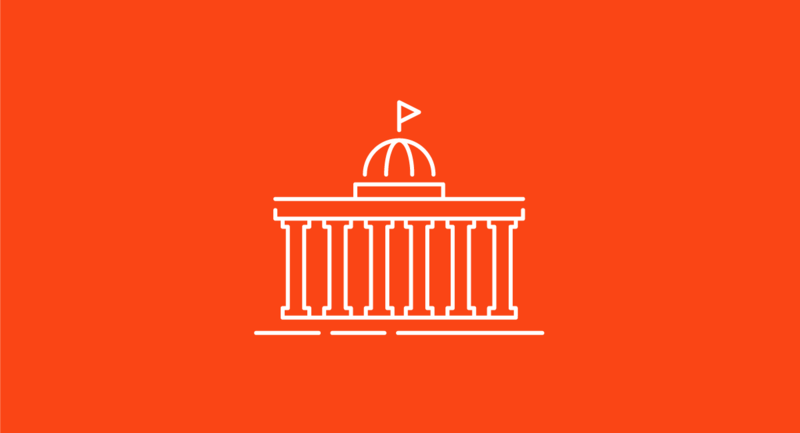 Coalition companies and organizations sent a letter to the chair and ranking member of the U.S. House Committee on Ways and Means requesting their support for upcoming financial incentive legislation from Congressman Mike Conaway (R-Texas). The legislation would make permanent and increase the value of the existing federal 45Q tax credit that provides a critical incentive to capture and store CO2 underground, while producing additional American oil and reducing our reliance on imported crude. While tax legislation can sound arcane, this piece of legislation has the potential to drive private sector innovation and investment in commercial deployment of carbon capture projects by providing critical financial certainty to would-be investors, companies and project developers. Why did these interests come together and why did GPI help forge the coalition? Because it presents a huge win-win opportunity for the economy and the environment. 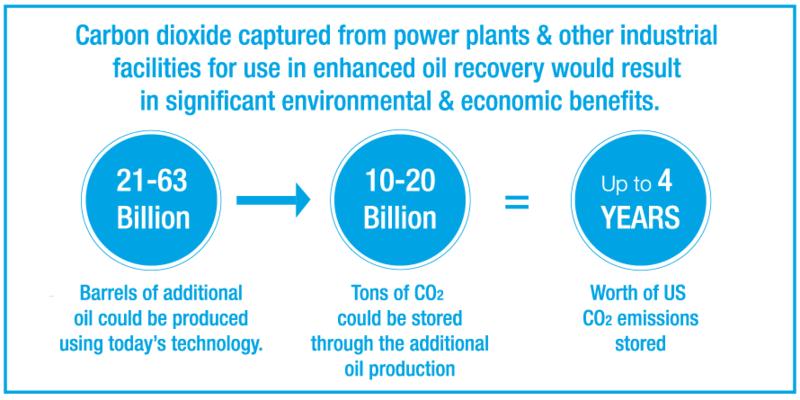 According to U.S. Department of Energy estimates, expanded deployment of CCUS projects could achieve significant sustained domestic energy production on the order of tens of billions of barrels of oil coupled with carbon mitigation equivalent to up to four years of U.S. CO2 emissions (see graphic below). CCUS represents the only technology available for significantly reducing emissions from key sources of CO2 in the global economy. Given that 40 percent of the world’s CO2 emissions come from coal and gas-fired power plants and 25 percent from industrial sources, and those emissions continue to grow rapidly, accelerating commercial deployment of CCUS is urgent. 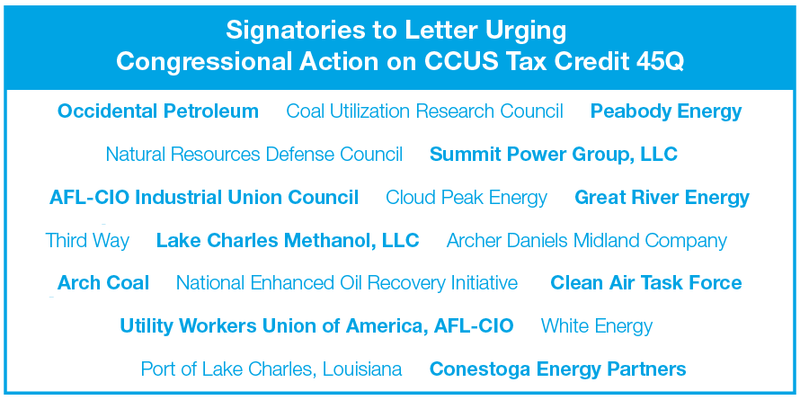 In the coalition press release, you can see the extraordinary diversity of interests strongly supporting action on CCUS and why, including statements from top industry, environmental, and labor leaders. We at GPI look forward to working with the coalition and building support for the upcoming legislation from Congressman Conaway. The Great Plains Institute co-convenes the National Enhanced Oil Recovery Initiative, together with the Center for Climate and Energy Solutions. 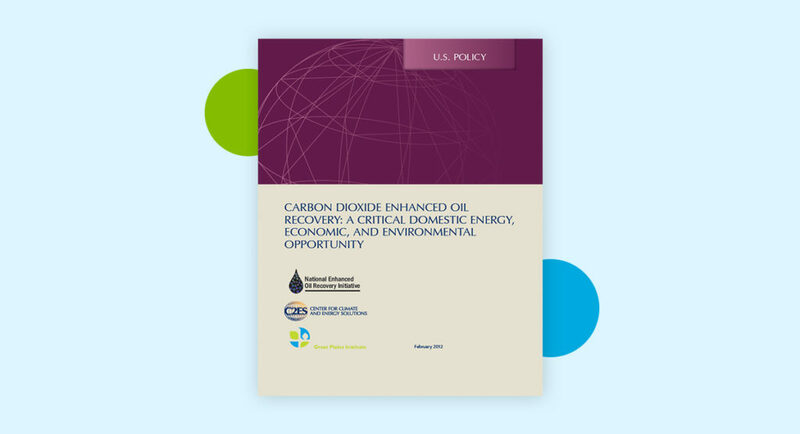 NEORI brings together industry executives, labor and environmental representatives, and state officials to help realize CO2-EOR’s full potential as a national energy security, economic, and environmental strategy.